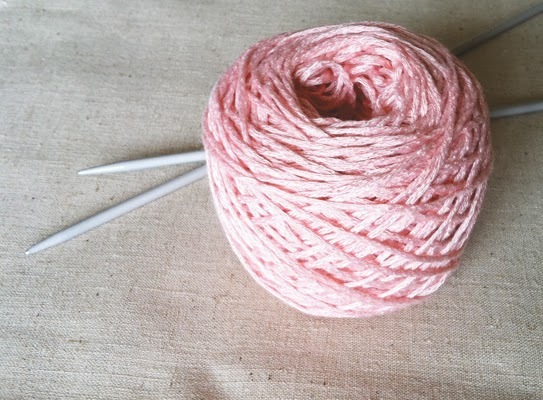 Once upon a time a little summer cardigan was cast onto some needles. 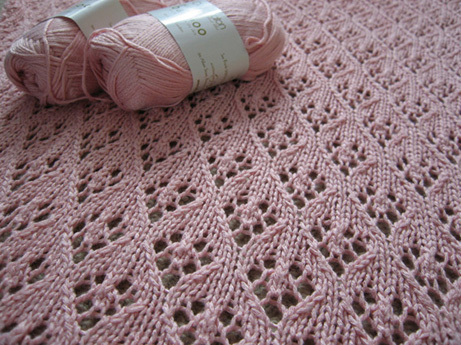 It was a Cleckheaton pattern using bamboo yarn in a soft shade of peach. It was one of those patterns you had to pay very close attention to. Not a pattern for Sunday afternoon knitting group – no chatting here. It was a lace pattern requiring much counting, and heaven forbid if you dropped a stitch. So, the back of the cardie was started, undone, started, undone and started again. Eventually it was finished and it was lovely. Much, much later a front was started, and relatively quickly, it too was finished. But something was wrong. A slight colour difference? A difference in length? In drape? It was so long ago now the reasons are lost, but one thing is clear, the front was undone. And there the poor little summer cardigan lay. Now another summer cardie has come along. A request. The same pattern book, but a much simpler pattern. It's going to be knitted in a cotton blend. Something that keeps its shape a little easier and can be thrown in the wash. But to get the right colour, this yarn has to be ordered from the US. And now the first little cardie is calling, "please don't start another one before you finish me!" So this weekend, guilt has led to the bamboo being loosely wound into skeins, washed, dried, and wound as the first ball on my very own wool-winder (thanks Dad and Sandra). I know we've been here before, but I'm determined to finish cardie one, before cardie two gets cast onto the needles. And cardie one is very happy about that! And I hope that both the little cardies live happily ever after. PS Don't hold your breath for yours, Kate.